I made some waffled sausage. Yes, waffled sausage! My friend, Dan (of Will it Waffle fame) wrote a book, aptly titled, “Will it Waffle?” The answer is a resounding, yes, it will! I’m a huge fan of waffling things that aren’t intended for the waffle maker. I’ve revitalized store-bought donuts and created crispy tofu. Waffling is incredibly addictive and some of the most fun I’ve had in the kitchen. 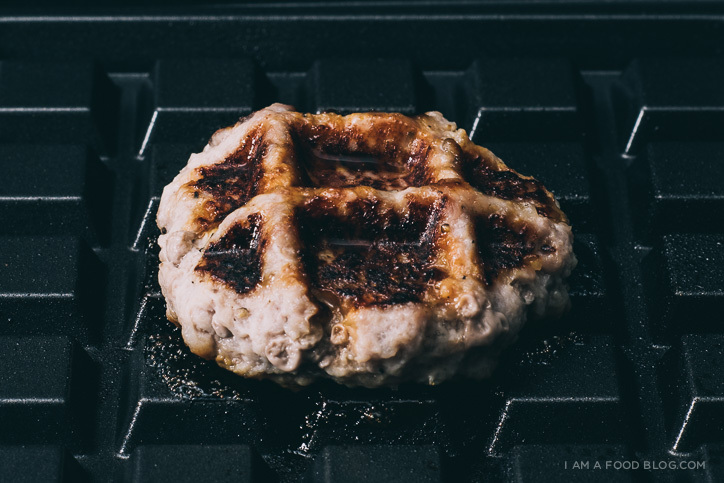 These little waffled pork sausages are juicy and crisp and have adorable little waffle indentations. They go wonderfully with toast and quail eggs and crispy fried sage, but I suspect they would go well with anything, really. 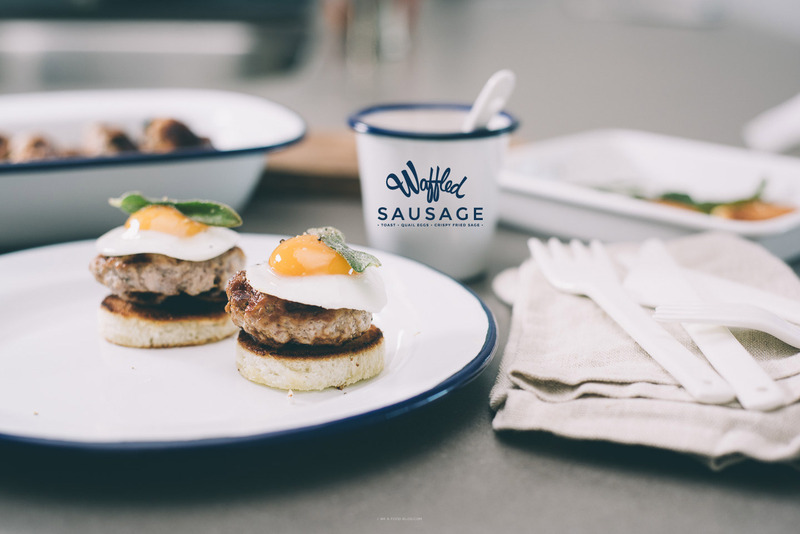 Honeyed Waffled Sausage adapted from Will it Waffle? Preheat your waffle iron on medium. In a bowl, combine the pork, salt, pepper, cayenne, and honey. Form small, 1.5 inch balls. Coat both sides of the waffle iron with nonstick spray. Place the balls in the middle of the iron and close the lid. Cook until browned and cooked through, 2-3 minutes. 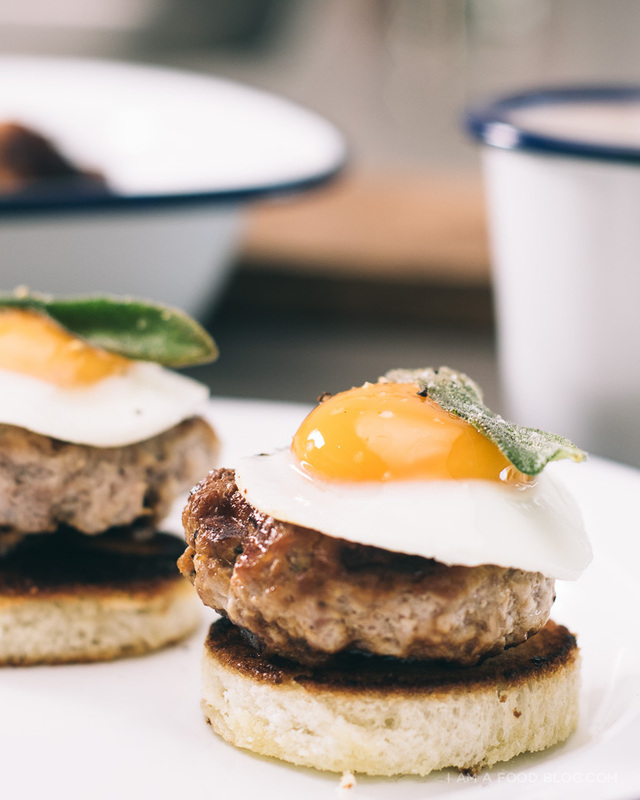 Enjoy hot with toast, eggs and crispy fried sage leaves, if desired. and i’m dying to buy a waffle maker for my first apt!!!! This little sandwiches look so good. If I served them for breakfast my husband would do a happy dance! OMG! dying at the cute sight of those sausages! I wonder why more people are not lining at your door for brunch. Oh man, I really need to bust out my waffle maker and start using it for all sorts of things! The fried sage leaves are definitely a lovely touch. this is like the cutest ever cartoon brunch!!! only it’s real!! i love it. happy sunday, steph!! This looks amazing – adding that to the must try list. 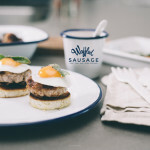 Sausage and fried sage?! Sign me up!! 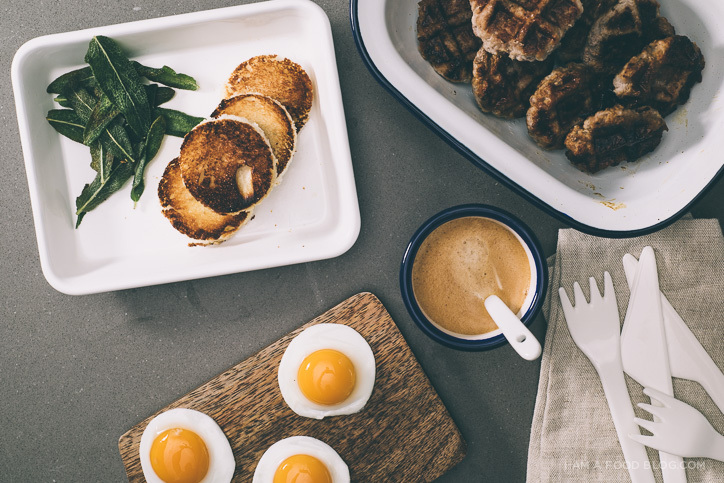 Wow, how do you make your eggs so perfectly? You should do an instructional video! Look at those perfect little eggs :)!! 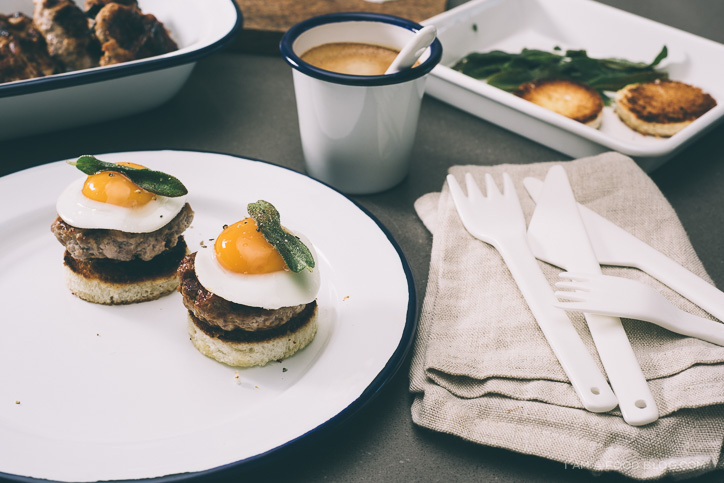 gosh such a beautiful looking brunch recipe!! Gorgeous! !